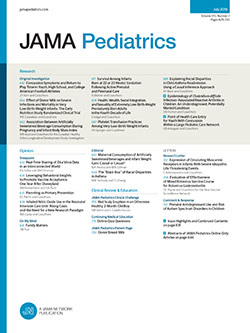 This study examined the association of parents' perceptions of 6 different aspects of their children's sleep (< sleep than others, > sleep than others, overtiredness, trouble sleeping, nightmares, and talking/walking during sleep) and self-reported emotional and behavioral difficulties during the subsequent 14 years in a sample of more than 2000 children. Reports of sleeping less than others were associated with a higher risk of subsequently being anxious/depressed and having aggressive behavior. Having nightmares or sleeping more than others was not associated with later emotional or behavior problems. This study suggests that inquiry into sleep problems should be a routine part of clinical practice. Parent-reported sleep problems during child development and later self-reported aggressive behavior. Participants with a “sleep problem” have been reported to have a problem “somewhat or often” at 1 or more assessment (times 1-5). Those with later problems score in the top 15% for the anxious/depressed, attention problems, and aggressive behavior scales of the Child Behavior Checklist at time 6. *P < .01. This study sought to examine the effect of other sleep-related risk factors, such as comorbid sleep problems and short sleep duration, in a sample of children with polysomnographically documented sleep-disordered breathing. While the authors found no direct association between sleep-disordered breathing and behavioral or emotional problems or attention-deficit/hyperactivity disorder (ADHD), there was an association with other risk factors. Children's weight correlated with total and internalizing scores on the Child Behavior Checklist, and short duration of sleep was associated with ADHD and externalizing problems. This study illustrates that the relationship between sleep problems and behavior is a complex one and cannot be automatically ascribed to sleep-disordered breathing alone. Attention-deficit/hyperactivity disorder (ADHD) is the most common mental health disorder in the pediatric population; as many as 50% of children with ADHD are reported to have sleep problems. In this study of 239 children with ADHD, sleep problems were reported in 73.3%, nearly two-thirds of which were reported as severe. Sleep problems were associated with a lower physical quality of life in these children with ADHD, poorer school attendance, and lower daily functioning. In addition, parents of children with sleep problems were more likely to report being stressed, depressed, or anxious. Implementation of a sleep intervention in children with ADHD could feasibly improve outcomes beyond that for treatment of ADHD alone. Few studies have examined whether parental behaviors at bedtime for young children are predictive of later sleep disturbances. In this prospective longitudinal study, Simard and colleagues observed 987 children from 5 months to 6 years of age and examined factors associated with 3 key sleep outcomes: bad dreams, total sleep time shorter than 10 hours, and onset of sleep longer than 15 minutes. Some maladaptive parental behaviors (such as giving a child food or drink after he or she awakens during the night) when the child is aged 29 to 41 months develop in response to sleep problems when the child was 5 to 17 months of age. Parental cosleeping at sleep onset was associated with lower risk of subsequent sleep problems, while cosleeping in the parents' bed in response to night wakening was associated with higher risk. This may explain some of the discrepancies in prior reports on cosleeping. Early sleep problems are more predictive than parental behaviors of later development of bad dreams or shortened total sleep time.